Google has changed the interface of Google Images, and not necessarily for the better. While the old results display for Google Images searches showed a thumbnail of each image along with the host’s domain name, the image’s dimensions, and a short description (taken from the image’s context on the site). Now Google Images only shows the short description unless you move your mouse over one of the thumbnails. For me, this makes the service significantly less intuitive. If I’m looking for, say, a logo that’s a certain size, I want to be able to see each image’s dimensions at a glance, but with the new interface I have to roll my mouse over each and every one until I find one that’s the right size. Similarly, being able to see the hosts of all of the images was handy, especially if you noticed that many of them are served by the same host. But now it’s like a puzzle, moving your mouse around until you find what you’re looking for. I’m not sure if this new interface is showing up for all users, as Google is in the habit of testing new interfaces on a small cross section of users, but either way I hope this is an interface change they reconsider. What do you think of the update? Jimmy Wales, the founder of Wikipedia, is developing a wiki-based search engine to compete with existing commercial search engines such as Google. He announced plans to develop the search engine, to be named “Wikiasari,” or “Wikia,” for short, in a posting on the Wikia website. He cited open source search projects as Nutch and Lucene as related efforts that can help in the development of Wikia. 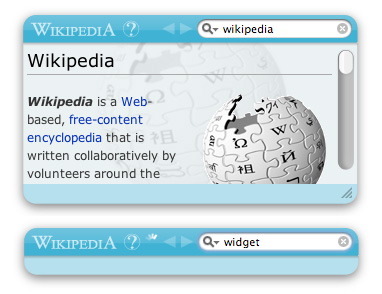 The Wikimedia Foundation, which manages Wikipedia.com, emphasised that the search engine project was not associated with the foundation. Change is bad: Users don’t like two redesigns in two years, and the unfamiliarity is sending them away. Windows Live Search looks cheap: The old MSN search looked cheap. It was too white, too sparse. The layout and colors didn’t have the right “feel”, seeming like a low rent search engine, rather than a serious competitor to Google. While Google shares many of the same properties, users know it is the search leader, and are willing to overlook its design. MSN doesn’t get the same pass. While the newer MSN Search and now Live.com improved the look and feel, they retain some sort of cheapness. Personally, I think its the white and blue. Something dramatic and dynamic to make the page more exciting. Ask.com has it (the red bar) Yahoo has some of it (the red Yahoo logo, plus they rip off Google well). Perhaps Widncows Live needs a new color on the page, or an animated element. Anything to break it up. A suggestion: Animate the flair on page load. Lack of marketing: Most people don’t know Windows Live Search exists. Microsoft is counting on (a) community evangelism (and besides myself and some other bloggers, I’m not sure there is much of that), as well as (b) MSN and Internet Explorer users discovering the search engine in random use. For god sakes, buy some good commercials, ones people can’t ignore, something undeniably cool and memorable. Also: Say Live.com in your ads, leave out Microsoft, and I guarantee they become more effective. Beta feel: Regardless of how popular Gmail invites used to be, the average user hates betas, and will not use products that appear under construction. Windows Live has so many products that don’t work, don’t work all the time, are behind invite-only walls, or have a beta tag, that users instinctively say “I’ll wait for when its done”. Focus on core products (Live.com, search, image search, news search, Live Mail) and demand a full release by the day Windows Vista hits retail. If you have to, stop designing new features and stabilize the damn code. I don’t care how good the product will be, because your users are leaving now. ..and goes on to say that he has a “geek crush” on Windows Live and wants them to win. “Now… to be fair and critical… let’s say Microsoft did invest a few more billion into search. It’s not clear hiring could have happened much faster, nor would we have wanted it as bringing on that many new people is a recipe for disaster. But certainly, the hardware infrastructure could have been built out such that it’d be much closer now (you’ll notice we’ve been rather quiet about the size of the index since the Google / Yahoo 20 billion index scuffle a year and a half ago). That’s happening, and I suspect in a year or two the size of one’s data centers won’t be as big a competitive advantage as it is now. But it’s a fair point. Very interesting to have Selberg chime in on the discussion – this is the kind of blogging we have been missing – maybe it’s not dead after all!